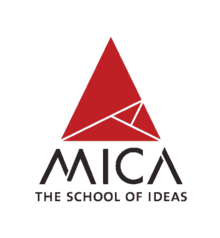 MICAT 2017 Application Form: The Mudra Institute of Communication (MICA), Ahmedabad was decided to conduct the MICA Aptitude Test for all eligible candidates. The people who appeared in CAT/ XAT/ GMAT exam, can eligible to apply for MICAT 2017. The MICA aptitude test has been conducting twice such as MICAT I & MICAT II. The best score will be considered for the selection of PGDM-C. The selection procedure is given under in this article. For further updates related to the MICAT Examination 2017, keep watching our webpage regularly. The people who interested to apply for MICAT 2017, have to full fill the eligibility criteria which is available in our examlevel.com site. To know the clear information of eligibility, read this article fully. As per the MICAT 2017 eligibility criteria, the applicant must have a Bachelor Degree with 10+2/ 10+3 system or its equivalent in any stream from recognized Association of Indian Universities (AIU). The final year bachelor's degree students are also eligible to apply for MICAT 2017. The aspirants who are all want to know the clear details regarding age restriction, please refer MICAT 2017 disclosure. If you want to apply for MICAT 2017, then find the application form through online and fill it with your valid information. Before fill the MICAT Application Form 2017, read the process which is available under here. The MICAT 2017 application fee is Rs. 1,965/-. * You can pay the MICAT application fee via 3 option such as Credit Card, Demand Draft (favour of "MICA" payable at Ahmedabad, Gujarat), Cash Payment. The candidates will be selected based on their performance in Computer Based Test (CBT) and it will be conducted twice for the selection of PGDM-C 2017-19 batch. Based on the both MICAT scores, the best one will be considered. All the applicants who shortlisted, have to appear for GE & PI after MICAT 2017. The Shortlisted aspirants will be called for GE & PI at Ahmedabad, Delhi, Kolkata, Bangalore & Mumbai. The have to secure below given percentage to qualify in MICAT 2017. (Scaled Scores will be used for MICAT 2017). To apply for MICAT 2017, first you have to complete the registration process. Go to the official website i.e. 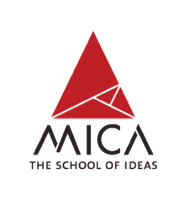 (www.mica.ac.in). Then click on the link called "MICAT 2017". It ask you to enter your basic details like Name, Gender, Phone, Email. After successful completed the registration process, the unique MICA username ID & MICA password will be sent to your registered mail. With the help of Username & Password, login your profile. Then click over the MICAT application form 2017. Next fill the application form with required details. Upload your photograph & signature in a prescribed format. After completed all the process, click on the "I Agree" button to accept the Terms & Conditions. Now click on "Submit" button to apply. For any general/ technical queries regarding MICAT 2017, immediately contact the below mentioned address/ phone/ mail. They will help you to solve your problem.